Reason for rehoming: The girls were purchased as babies from a pet shop in June 2017 and were surrendered to rescue at Starlight Trust. Temperament: Ash is very outgoing and friendly. Avalon and Poppy are a little shy but quickly coming out of their shells. Hope is currently rather timid and not a big fan of being handled. 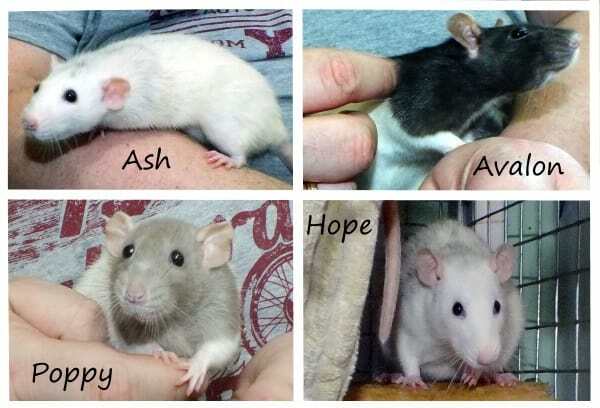 Other: We’re still getting to know the girls but we’ll likely be looking for a home for them as a quartet with someone who has owned rats previously.